Choose Your Thread Colour White Blue Bubblegum Hot Pink Lilac Aqua Sage Green Black Chocolate Baby Blue Denim Blue Royal Blue Navy Blue Baby Yellow No Thanks! 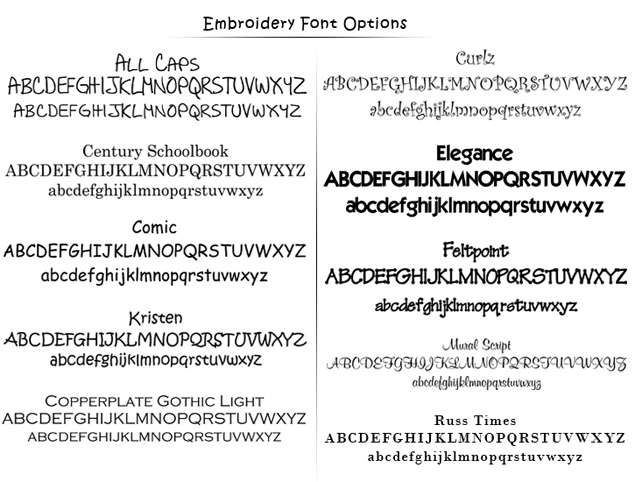 Choose Your Font Century Schoolbook ALL CAPS Comic Cooperplate Gothic Light Curlz Elegance Feltpoint Kristen Mural Script No Thanks! This irresistible Sleep Sack is comfy-cozy and practical. 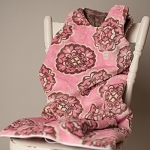 The minky feel will leave your Little Ones snug as a bug. This exclusive handmade cut has openings for their feet and folds over to cover their toes when its a brisk night. These are made to fit with lots of room to grow! 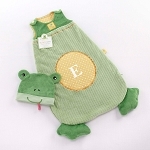 Our sleep sacks are great for sleeping, lounging around and great for car rides. 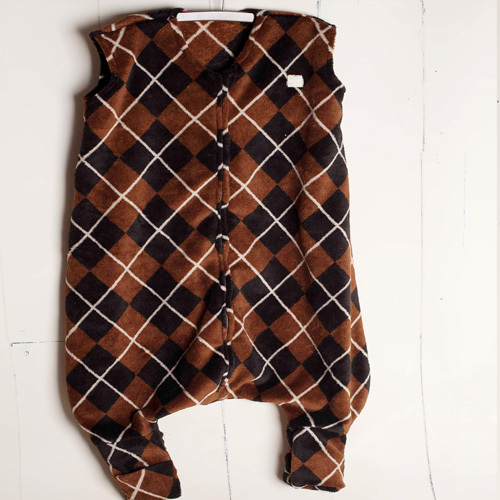 Comes in brown and pink; size 12-24 months.